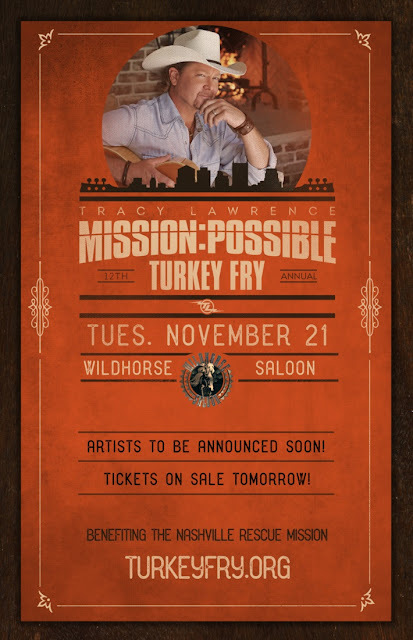 Tracy Lawrence recently announced his 12th annual "Misson Possible Turkey Fry" will be taking place on Tuesday, November 21 at the world famous Wildhorse Saloon in Nashville. This years special guest performers include Luke Combs and Halfway to Hazard with more being announced soon. The event benefits the Nashville Rescue Mission and helps provide a warm Thanksgiving meal and necessary items to help them through the holiday. Tickets go on sale this Friday, September 22 at 11AM CT. Click here for tickets.